The reward money offered for the immediate arrest of the suspects in the killing of Calbayog City Mayor Reynaldo Uy has been raised to P2.5 million, the eldest daughter of the slain official said. The amount was raised a few days before the family observes the first death anniversary of the mayor. The bounty was previously set at P1.2 million by the Department of the Interior and Local Government (DILG) and the Philippine National Police (PNP). Later, the family of the victim added P800,000 to hasten the capture of the suspects. “This is the commitment of our family that we are raising the bounty to P2.5 million for the immediate solution of the case as we continue our demand for justice. We want also a solid case against those behind the crime,” said Rosa Jessica Uy-Delgado, the mayor’s eldest daughter. Uy, a former Samar congressman, was shot to death by a lone gunman on April 30, 2011 inside a covered court in Hinabangan town, Samar. He sustained a fatal gunshot wound at the left upper part of his breast area. 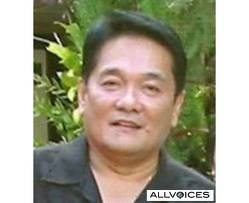 He died the following day in a private hospital in Tacloban City. The suspects, however, remain scot-free, pending an investigation and manhunt operations by authorities. Delgado said there were already some leads that are giving them clear details as to the persons behind the crime. UJ Says: The family is serious about catching these killers, but I wonder if the authorities have the same urgency.